After sign up Gmail account, if this is the first time you have ever used Gmail.com, you might feel like fish out of the water. However, if you refer to instructions, you will be master at using Gmail soon. At the first place, let’s take a look on Composing Mail, Attachments and Signatures because this is the main task of it! 1 How to send and receive email with Gmail? 2.1 What are Cc and Bcc in Gmail? How to send and receive email with Gmail? Instructions on how to send and receive electronic mail (E-mail) with Gmail. Gmail is now one of the most popular email services which sends and receives messages super fast. Step 3: The “Compose Mail” window to send messages appears. However this is the tool to compose messages quickly, click the double arrow button shown below in order to switch to a larger window which is more comfortable to compose messages. Step 4: The window of “Compose Mail” of Gmail is larger (If you want to shrink as Step 3, click the double arrow). Enter the email address of recipients and the message header. Zoom out (-), zoom (↔), close (x) to close “Compose Mail” window. Cc: Add more emails of recipients. Bcc: Add more emails of recipients. Editor Tools. Which are in turn: Formating options, attach files which are under 25MB, insert files using Drive which are larger than 25MB, insert photo, insert links, insert emoticon. Discard Draft : Delete emails that are being composed. Down arrow symbol: More advanced options such as print, check spelling. Once finished composing a message, press the Send button to send the letter. Successful mail sending will be notified. You can review the messages in the Sent Mail in Gmail’s left menu. You can view the messages that others send to you in the Inbox, if you can’t see the messages, you should also look in the Spam. Sending an email to many people at the same time helps you not repeat the familiar manipulations when sending an email with the same content to many people. By this way, you will save a lot of time. In addition to Gmail.com, you can apply this trick to other email services such as Outlook/Hotmail, Yahoo mail. What are Cc and Bcc in Gmail? When composing mail in Gmail, you will see Cc and Bcc at least one time for sure, but you don’t know what they mean. In this article, let’s find out what they exactly are! When entering email address of the recipient in “To:” box, you’re certainly curious about these two lines of words: Cc and Bcc on the right of “To:” box. Have you ever tried to click on them? Cc is actually short for Carbon copy. We use Cc feature to send one email to many people at the same time and these recipients can see the list of other email addresses which also receive this email. In fact, Bcc is short for “Blind carbon copy”. Bcc is almost the same as Cc. However, the difference is that recipients added in Bcc can not see the list of other email addresses to which this email is also sent. It means, in the recipient’s email address, there’s only him/her. When do we use Cc or Bcc? Use Cc when you’re not afraid of the fact that the recipients know you send that email to many other people. Use Bcc when you don’t want the recipients know that you send that email to many other people. After typing an email address, you type “,”, then continue to type the next email address. The same with other email addresses. The information of sender when you send email in this way will be like: The recipients will know all email addresses to which you’ve sent this email. In the “To:” box of the composing mail window, click on the Cc in the right. The information of the sender when you send email in this way will be like: The recipients will see the “Carbon copy” email. In the Bcc box of the composing mail window, click on the Bcc on the right. The sender information when you send email in this way will be like: There’s only recipient’s email address in the sender information. With this email service, you can send documents to your friends or fellow – workers in a very short of time. And, of course this function will be found on Gmail. You can send files and documents through Gmail with a maximum capacity up to 15 GB. Let’s try! Note: If it is a folder, you should compress it before sending. Step 1: Log in Gmail account. Step 2 Click Compose to compose new messages. Step 3: You can attach files, documents and photos into your messages you are going to send. Step 4: For sending files which are over 25 MB, there will be many more “procedures”, which is attached file through the Google Drive service. Press to continue. Step 6: After selecting the file, click the “Upload” button to begin the process of uploading files. Faster or slower speed depends on the size of files that you upload. 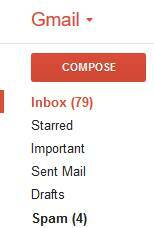 Step 7: After successfully uploading the file, it will be enclosed to your Gmail messages (as shown below). 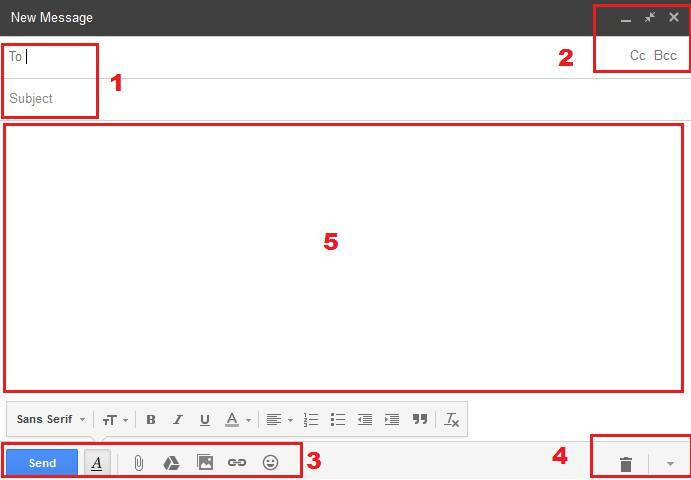 Then, you can compose mail and send it right now! Not only creating signature in Gmail mail aims to avoid impersonation, but also the information in the Gmail signature is useful for people to contact with each other in the fastest and most convenient way as well as completely introduce about oneself. Select Plain Text and then you can type your complete contact information including your full name, self-painted or snapshoted signature and copy paste into this bracket depends on the layout, above is my example for making contact information in the signature box. You should not check on the line Insert this signature before quoted text in replies and remove the “- -” line that precedes it because if you insert the signature before the answered content, it won’t be pleasant to the eyes, therefore, you should uncheck the box so that the signature will appear beneath the mail paragragh you write. Then click Save changes. So, you have already created your own Gmail signature! Hope that you’ll use Gmail better!